A couple of questions please. When the Feds raised the rates last week why did the dollar mover lower? Also, with the trend change coming in May should we be out of the market? If so how long? ANSWER: The Fed raised rates as expected, but that same day there was the Netherlands elections and the current prime minister won against the extreme right. This gave a life of hope to Europe that maybe the status quo will prevail. That of course is good for a near-term bounce, but in reality, the false hope boosts politicians to do nothing to reform or alter the trend. Then in the States, there has been this constant attack upon Trump orchestrated by the media to stop any reform. 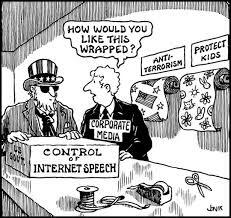 They have sold our rights out willingly spreading the propaganda of terrorism as the excuse for everything right down to capturing every single phone call, SMS, and email, which will really be used for tax prosecutions. So the media has been trying desperately to prevent any reform and this has given a bit a pessimism that will run back and forth. As people think they will stop Trump, the markets will back off. When they see him push through reforms, the markets will rejoice. Still there is no indication of a major crash in equities.